The highest and most prestigious award given by the Alumni Association, the Alumni Medallion recognizes outstanding alumni for commitment, dedication and assistance to William & Mary. World champions. It’s a lofty title and well-deserved. 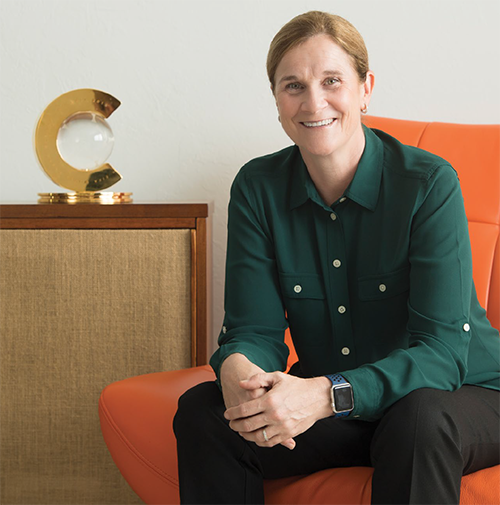 As head coach of the U.S. Women’s National Soccer Team, Jill Ellis led the team to victory in the 2015 FIFA Women’s World Cup, bringing the “world champions” title home to the United States. But she has not rested on her laurels — Ellis continues to inspire, educate and motivate young athletes and others worldwide. As Ellis said in her 2016 Commencement address at William & Mary, “There is no right or wrong approach to navigating your life. In fact, at various moments, you will, as I did, explore both routes, the structured and the unstructured. The important part is that you embrace and enjoy the challenges and realize you do not travel alone.” Throughout her successful coaching career, she has exemplified this philosophy by supporting and mentoring Tribe student-athletes, particularly those in the Tribe women’s soccer program. She was inducted into the William & Mary Athletics Hall of Fame in 2002 and was named a Tribe Champion for Life in 2015. Ellis advocates for teaching leadership skills, healthy habits and goal setting at elementary schools in the United States and is an ambassador for the Monrovia Football Academy in Liberia, founded by Will Smith ’14. She and the U.S. Women’s National Team encourage and empower women and girls worldwide to learn life skills through soccer. As a motivational speaker, she presents to groups ranging from grassroots soccer organizations to Fortune 500 companies on a variety of topics, including striving for excellence and the value of teamwork. Janet Atwater likes to say that her best years at William & Mary are still happening, long after graduation. Atwater currently uses her leadership and creativity on the board of the College of William & Mary Foundation; as a member of the For the Bold campaign steering committee; and as a charter member and the first vice chair of the Society of 1918, a giving society that inspires, encourages and empowers William & Mary women. 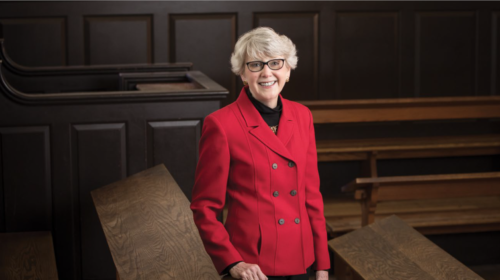 As president of the William & Mary Alumni Association from 2009 to 2011, she initiated the Alumni House expansion and renovation project currently underway. 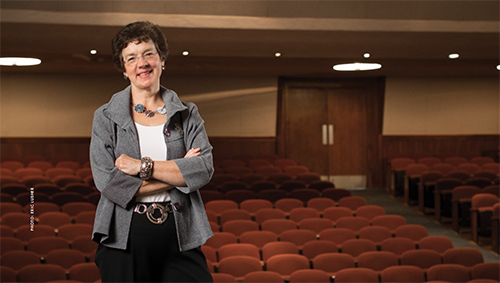 “Janet dreams daringly of all that William & Mary can be, and she applies her considerable skill, her boundless energy, and her resources of time and treasure to making those dreams a reality,” says Virginia M. Ambler ’88, Ph.D. ’06, vice president for student affairs. As a parent of two William & Mary students, Molly ’17, M.S. ’18 and Bennett ’20, Atwater advocates on behalf of students as a member of the Parent and Family Council. Her commitment to students also shines through the scholarships she and her husband, Peter Atwater ’83, have endowed and their support of the Atwater Lecture series, which enables William & Mary to bring noteworthy speakers to campus each year. When her son, Bennett, was diagnosed with a severe peanut allergy, Atwater became active in and now chairs the Food Allergy Research and Education (FARE) organization, which works on behalf of the 15 million Americans with food allergies. In 1998, she founded the New Albany Women’s Network, a nonprofit organization that brings diverse women together through charitable, social, education and community outreach programs. She also finds time to direct and support local theater and music. Leadership combined with service has defined her career. As an executive coach, Atwater has coached leaders in nonprofits, Fortune 500 companies, higher education and the arts. She now assists people with mid-career transitions as president of Second Act Coaching and Consulting. “John Adams said, ‘If your actions inspire others to dream more, learn more, do more and become more, then you are a leader.’ Shelby Hawthorne is a true leader,” says friend and colleague Wilma Sharp M.A.Ed. ’04. Hawthorne is a bedrock of the Williamsburg and William & Mary communities and has been for more than 50 years. In her warm and unassuming way, she makes a difference in the lives of all she meets. After graduating from William & Mary in 1967, she began a long career as a teacher and reading specialist for Williamsburg-James City County Public Schools. There, she established a number of programs, including an acclaimed economics curriculum for elementary school children, and fostered a love of learning in thousands of students. Her accomplishments were recognized worldwide when Hawthorne became one of the first women to be inducted into the international education fraternity Phi Delta Kappa. She also shares her expertise as co-president of the Delta chapter of the Delta Kappa Gamma International Honor Society of Women Educators. Hawthorne continues her role as an educator in the community as a teacher and board member for Literacy for Life, an adult literacy program. As a member of the scholarship committee on the board of the Williamsburg Community Foundation, she works to ensure local high school seniors have the funding they need to attend college. At William & Mary, Hawthorne is the unofficial “mother of Tribe track & field,” helping with virtually every home track meet for five decades. Hawthorne and her husband, Randall S. Hawthorne ’67, J.D. ’70, M.L.T. ’71, a 2008 Alumni Medallion recipient, frequently host athletes, coaches and friends in their home, affectionately known as the “Hawthorne Hotel.” Through gifts of time, talent and treasure, they ensure Tribe track & field athletes are prepared to succeed on and off the field. 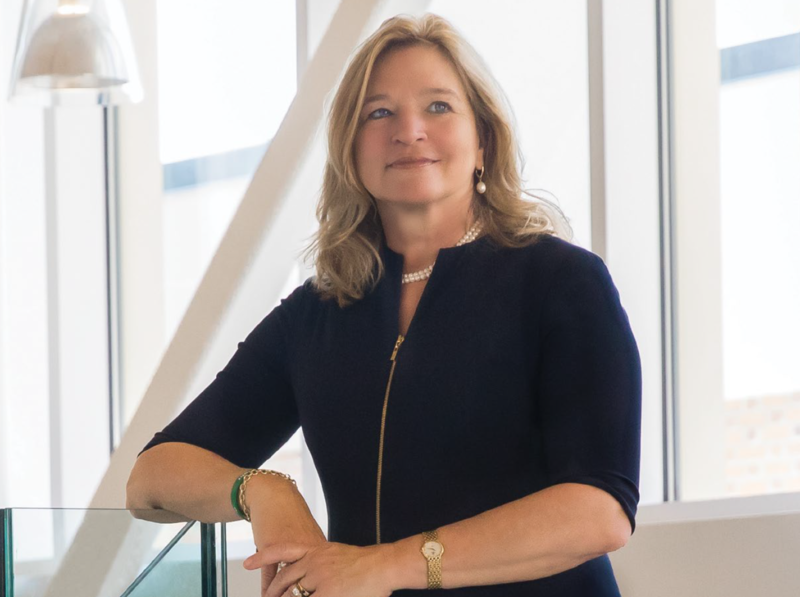 “While William & Mary shall be ‘for all time coming,’ it is NOT a static place — it grows and becomes better with each passing year, because of those who came before us … those who are here today … and those who will make their mark in the future,” said Ellen Stofan in her 2016 Charter Day address. Stofan is the former chief scientist at NASA, where she brought a global perspective, working with other space agencies in support of the International Space Station and championing the science of climate change. All the while, she found time to mentor William & Mary students and share her expertise on campus, especially with geology students and young women. She is a strong public advocate for STEM education for all, especially people in under-represented groups. Stofan lives out her belief that “an institution only thrives if those who love it, cherish it and give back with time and treasure.” As former chair of the College of William & Mary Foundation board, she led the task force on Women & Philanthropy, which has now evolved into the Society of 1918 — a new giving society designed to grow women’s engagement, leadership and philanthropy and to celebrate and honor William & Mary women. She has been a frequent speaker at William & Mary events both on and off campus, sharing with students and alumni what she has learned from her life of service. She and her husband, Timothy Dunn ’83, P ’10, P ’14, have been instrumental supporters of the Reves Center for International Studies by providing programmatic support and seed funding for faculty and student-initiated projects worldwide. Additionally, they have established five endowments: the geology founder’s fund, a geology student research fund, an environmental post-doctoral position and the Dunn Civil Liberties Project. They both serve as members of the For the Bold campaign steering committee. The W&M Alumni Association calls for nominations of candidates to receive the 2019 Alumni Medallion. The Alumni Medallion is the highest and most prestigious award the Alumni Association can bestow on a graduate of the university. This award recognizes individuals who have exemplary accomplishments in their professional life, service to the community, state or nation, and loyalty and commitment to William & Mary. You may download the nomination form at https://alumni.wm.edu/downloads/nomination_forms/Medallion.doc or call 757.221.7855. The deadline for nominations is April 1, 2018. The Alumni Association Board of Directors will select the 2019 Medallion recipients at its summer 2018 meeting.